Aging experts and professionals know the harm that isolation and loneliness play on an older adults' health and well-being. The U.S. Census data reports 28% of individuals aged 65 and older lived on their own in 2010. AARP confirms that it's the baby boomer generation is the one with fewer children or none at all. As the group enters the elder years, loneliness and isolation will be a significant concern. Immobility and lack of transportation add to the necessity for one to keep close to home. If an adult has little access to social activities, they become isolated. A study by Case Western Reserve University shows that Internet adoption bolsters the emotional health of seniors (2013.) The researchers gave 25 residents of a residential care facility a digital tablet and Internet training. After three months of usage, the participants reported a better mood and life satisfaction. List an online resource that helps older adults connect offline to lessen loneliness and depression? Senior centers - Most cities have that offer a range of activities, exercise classes, and events at reasonable costs. It would be great if organizations like churches and Meals on Wheels could have printed out versions of these monthly calendars hand delivered to seniors who could use this social connection. Margo Rose, Body Aware Grieving. Become a volunteer; check out http://www.nationalservice.gov/programs/senior-corps website and sign up to volunteer. It's one of the better options to remain active, involved in the community and to have feelings of purpose Shannon Martin, Aging Wisely. Foster a grandchild by visiting the http://www.nationalservice.gov/programs/senior-corps/foster-grandparents. Adults share time with younger people. We encourage adults to join groups that help them deal with loneliness and depression. David Mordehi, Advise, and Protect. 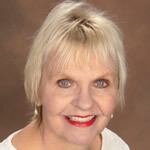 The Senior care section on http://assistedliving.about.com/od/SeniorActivities/ that's devoted to activity professionals. Anthony Cirillo, AgingExperience.com. Join the http://www.creativeaging.org/ website for adult involvement. It includes volunteer activities. Tim Murray, Aware Senior Care. Mentoring others in technology or helping with homework can build strong ties. Online relationships become dynamic, expanding into conversation or tasks offline. Nancy Ruffner, NavigateNC. Practice meditation and mindfulness--Research from UCLA suggests a short 8-week program of meditation focusing on mindfulness (attention to the present) can reduce feelings of loneliness and might even stoke an anti-inflammatory response in the body. Stephan Forman, LTC Associates.